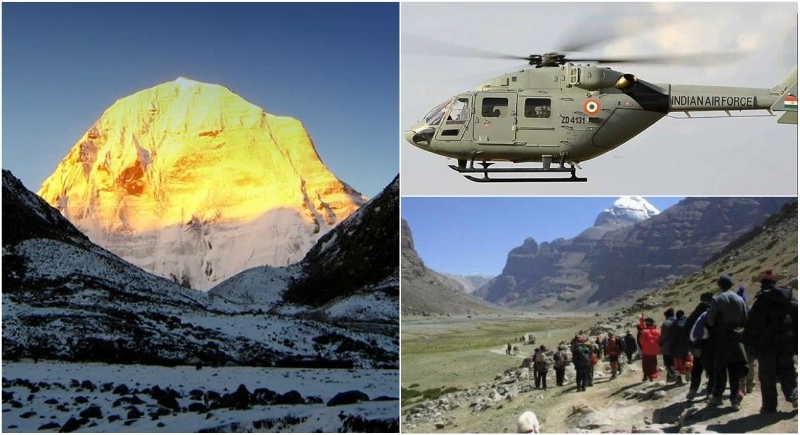 Pithoragarh, June 20: Hindering the journey of many pilgrims to the Kailash Mansarovar Yatra due to landslide and unfavorable weather conditions, the Indian Air Force came in as a rescue squad. The Indian Air Force worked as an air bridge between Pithoragarh and Gunji in an effort to airlift 1,080 registered passengers to Gunji for annual Kailash Mansarovar Yatra. Due to landslides on the Kailas Mansarovar Yatra route in the high Himalayan region in Pithoragarh, the journey will now be with MI helicopter of the Air Force. 57 passengers of the other crew who reached Almora were sent to Pithoragarh this morning, not Dharchula. Now the passenger helicopter will be driven from Pithoragarh. The decision was taken by the Ministry of External Affairs after the advice of Pithoragarh district administration. Confirming this, KMVN MD Dhiraj Gabrial said that over 25% additional food grains have been sent on the travel paves while watching the weather. After traveling by helicopter, 33 km walk will be saved. It is for the first time, KMVN provided stay for passengers of the pilgrimage. Traveler Ramesh Chandra Joshi said that all the passengers of the first team returned to Gunji on Sunday morning, where ITBP doctors tested the health of the passengers. Only successful travelers were able to travel further in this test. The team left for KalaPaani the next day. The teams comprised of 46 men and 11 female passengers and out of these, 11 are from Gujarat and nine from Uttar Pradesh. While one each from Chhattisgarh, Karnataka, Jharkhand, West Bengal, Punjab and Uttarakhand, two from Madhya Pradesh, Bihar, Chandigarh and Haryana, six from Andhra Pradesh and Delhi, three from Maharashtra, eight from Rajasthan were included.